You have 1312 characters. Don’t forget to add important and relevant keywords in your description to improve your iTunes app page and optimize your SEO. 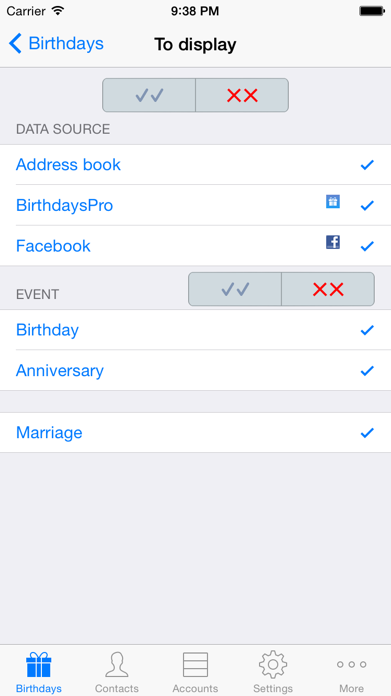 Birthday list, contact list and birthday notifications, also for XING, VK (VKontakte) and Odnoklassniki. 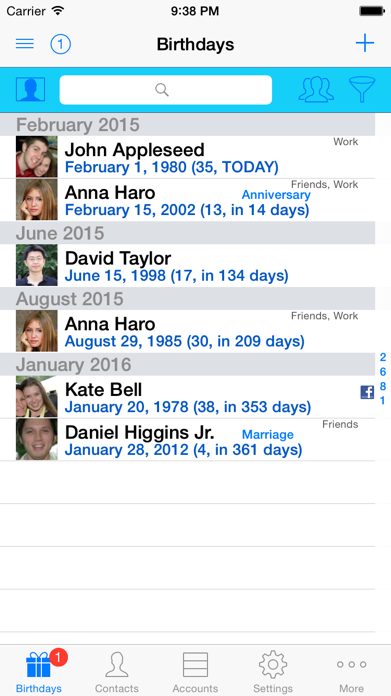 BirthdaysPro is the best way to be informed about the upcoming birthdays (and anniversaries) of all your contacts. 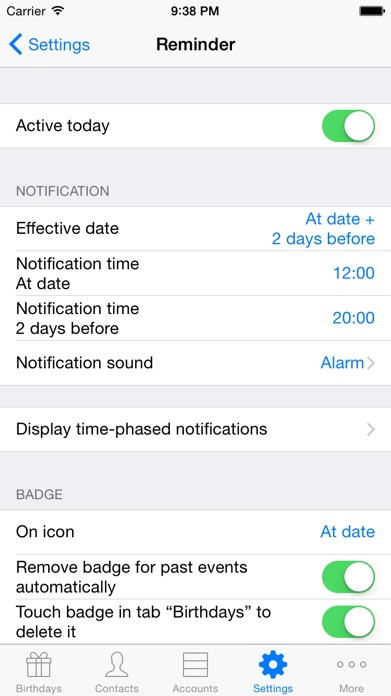 Pay once - install on multiple devices associated with the iTunes account.